96% of HR managers use IT certifications as screening or hiring criteria during recruitment. How Do LearnToProgram Certifications Work? The certification courses each include 5 to 10 hours of video training. Each course also includes lab exercises to help you retain the information in the video lectures. The courses also include study guides, practice questions and activities-- all with one goal: To help you learn new coding skills. Courses are designed to be completed in a few days if significant time is invested-- however you may spread the work out for as long as you'd like. There are no calendars or limits on individual courses. Simply work with the course until you're confident. Once you complete the course you'll be eligible to sit for the exam. The exams are fifty multiple choice questions and the minimum passing score is 80%. The exams aren't designed to be difficult, but, to verify that you retained the information in the course. You have up to an hour to complete the exam, but most people complete the exams much more quickly. If you don't pass the exam the first time you take it, you may sit for the exam again. When you pass the exam, and complete the class you have earned your certification or designation. Congratulations! Now that you're certified you'll receive your printable, full color digital certificate. Your certificate will include a link to a digital transcript page which will serve as verification of your achievement. You can place the badge on your personal web site, portfolio or resume. You also can automatically place the badge on your linked in page. 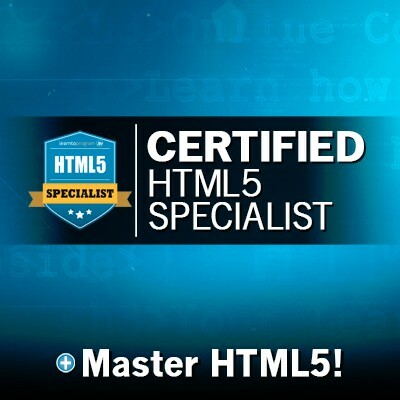 Many individuals who receive these certifications place them in their email signature and other highly visible digital real estate to set them apart from other developers. There are over 5 million tech positions in the US. How will you stand out? IT certifications make it more likely that you will get hired or obtain contract and freelance positions and projects. Coding skills are notoriously difficult to assess-- especially for people outside the IT world. Certifications are an indication of your skills and credibility. All things being equal, certified individuals will almost always be hired before non-certified individuals with similar skill-sets. Certification alone won't get you a job, but, it may just get your foot in the door. Certification not only indicates that you have a set of skills, but also that those skills are current. Certification is the one thing that may separate you from peers, and keeps you viable in the event of an economic slowdown, company merger, etc. Obtaining a certification shows a great deal of initiative and provides you with a great sense of personal satisfaction. Why just take a course, when you can learn, and obtain certification as proof of your new skill set? Q: Who is backing this certification? Will it be recognized? Q: What if I don't pass the exam? You are allowed to retake the exam up to three times in a year. The exams aren't designed to trip you up or hold you back-- They are simply designed to help you prove you know what you know. Q: I already know the material, can I take the certification exam without completing the course? 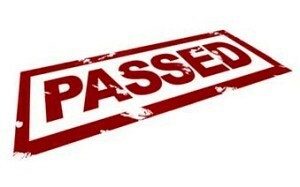 At this time certification will only be awarded to those who complete the exam and complete the course. It's the only way we can be sure you know the material. Q: How long is the certification good for? Certifications are good for two years. Things change quickly in development and we want the certification to indicate not only that you have skills, but that your skills are current. However, you have lifetime access to the certification course, so, as things change the course will be updated to reflect the new material covered in the exam.